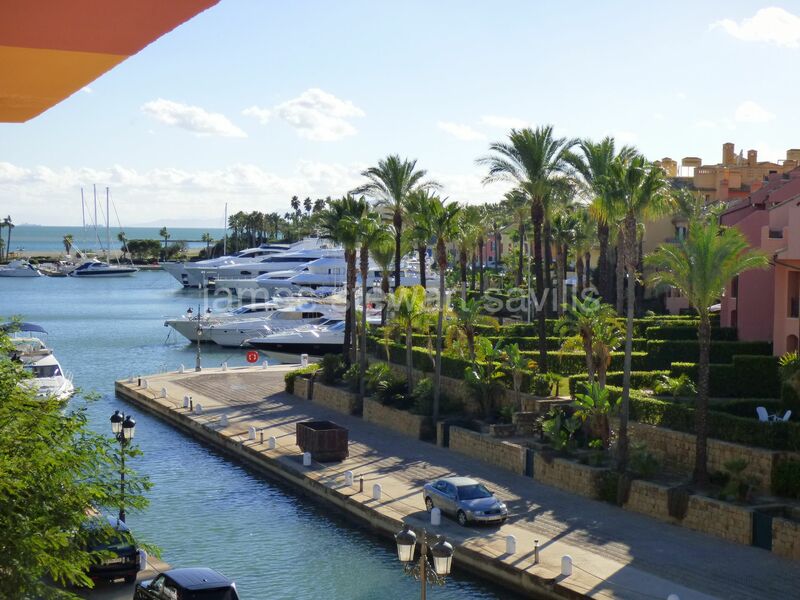 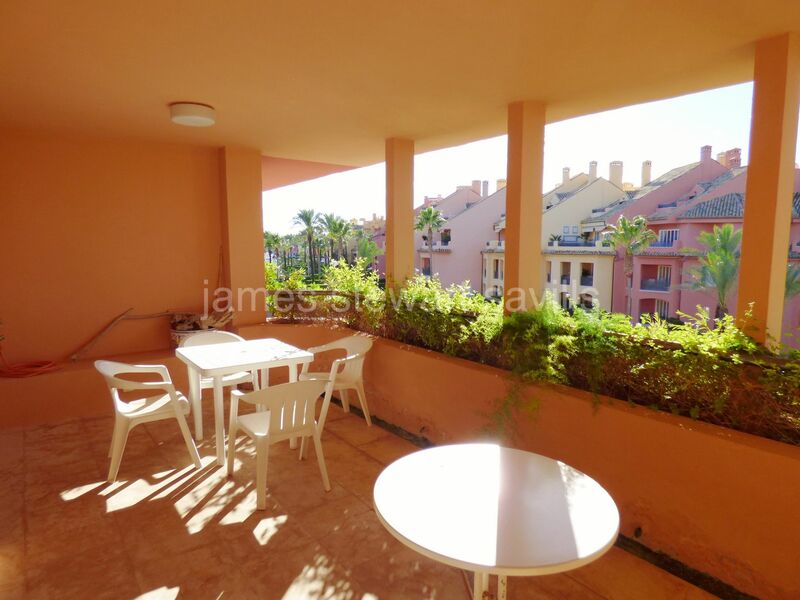 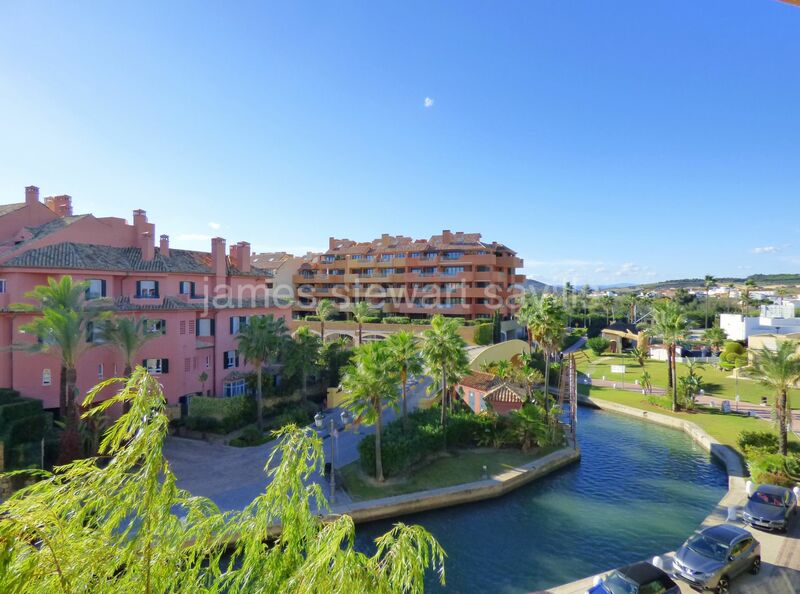 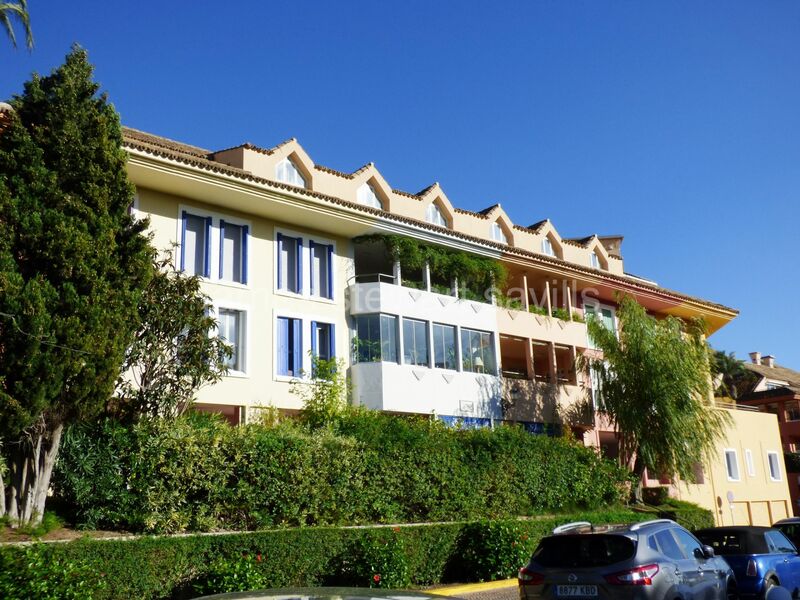 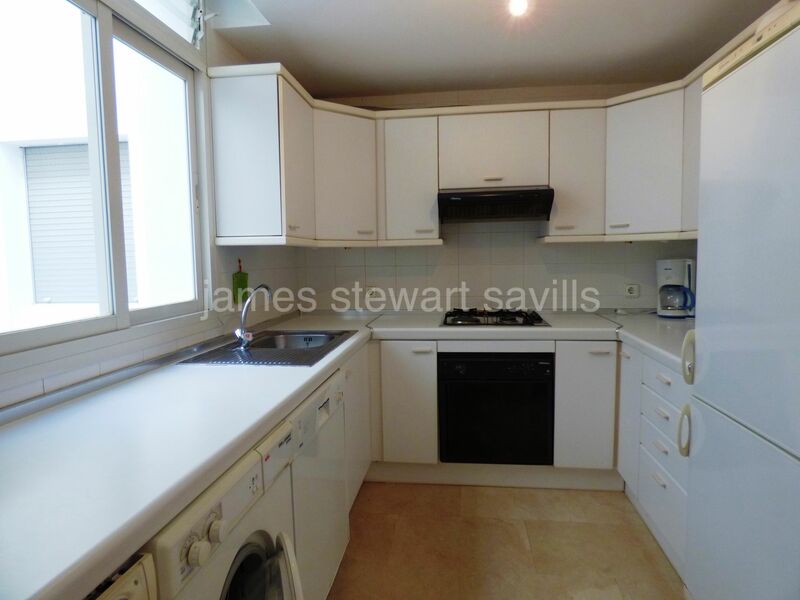 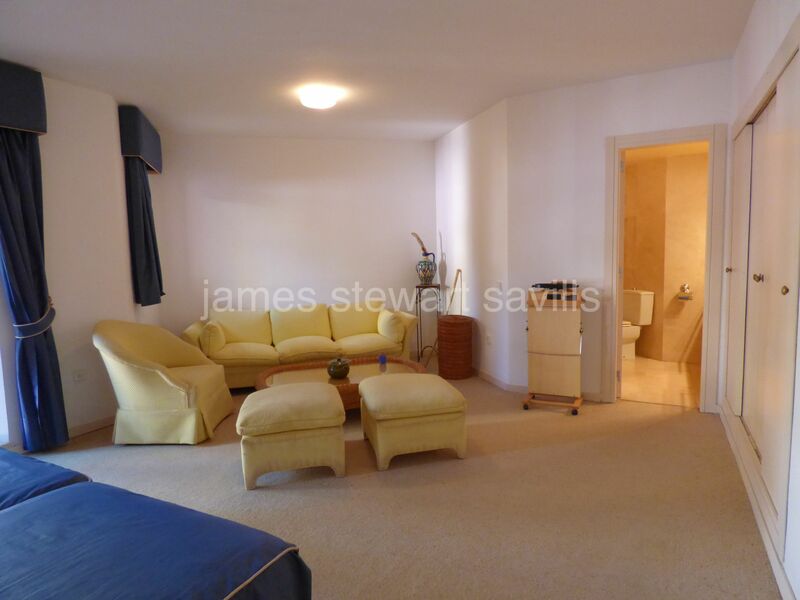 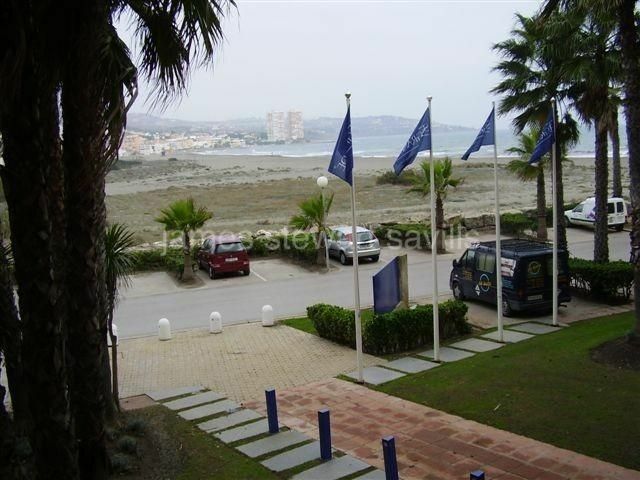 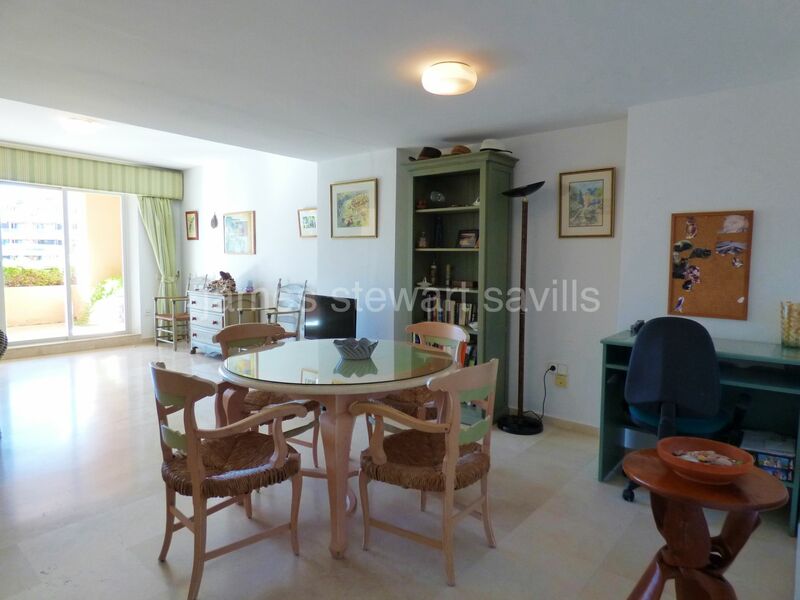 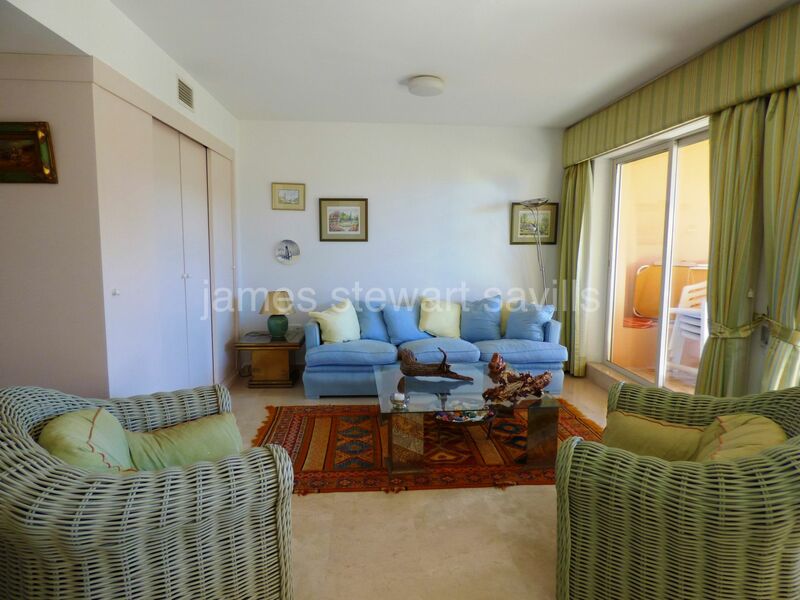 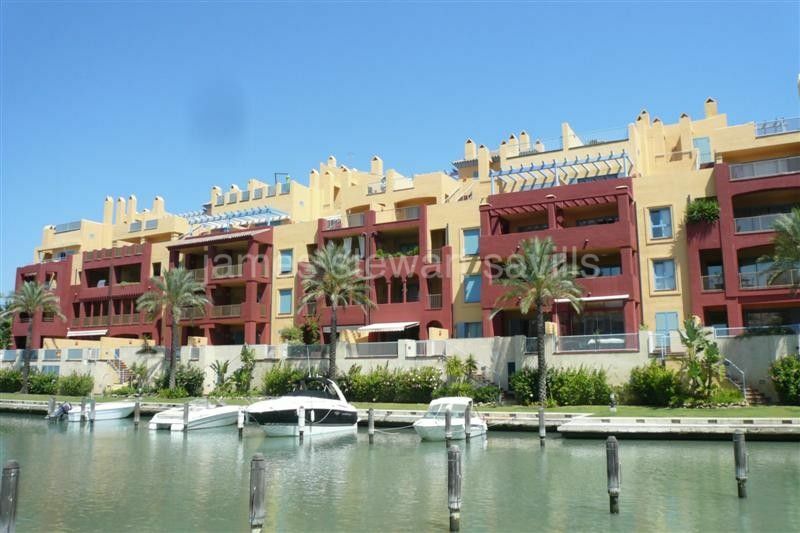 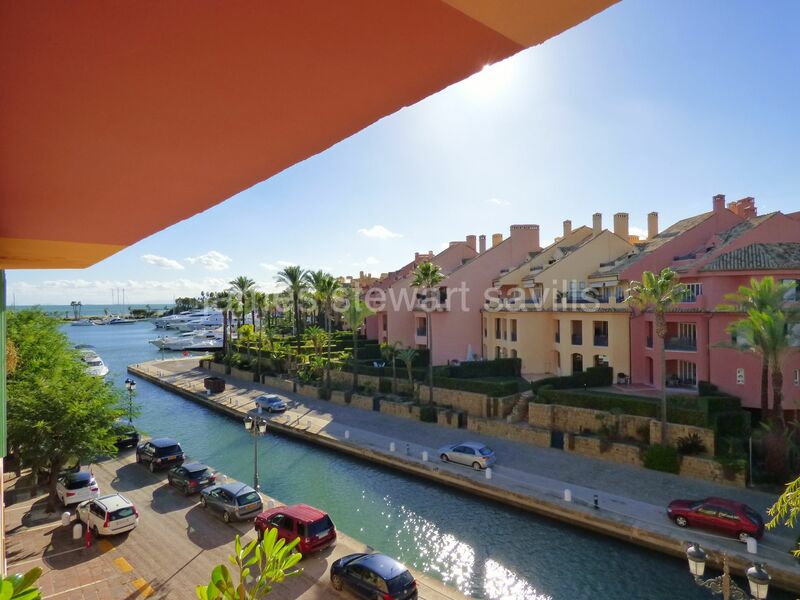 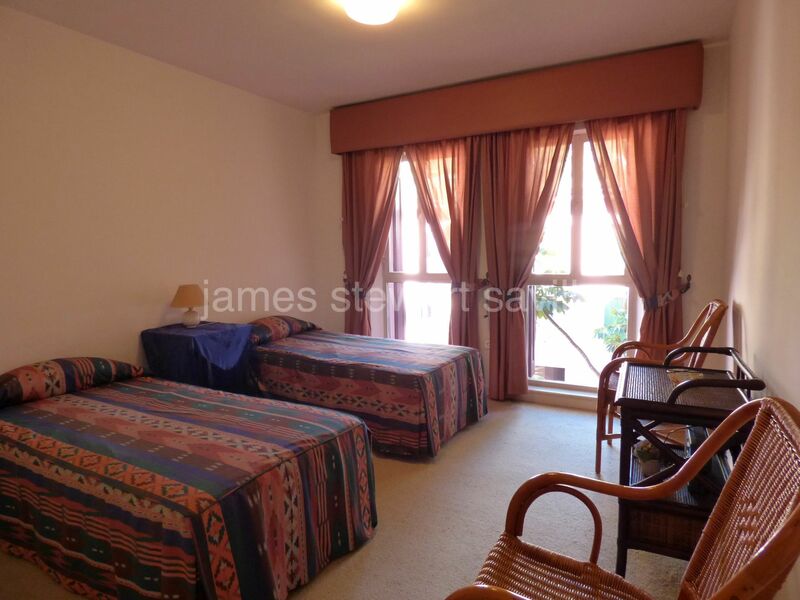 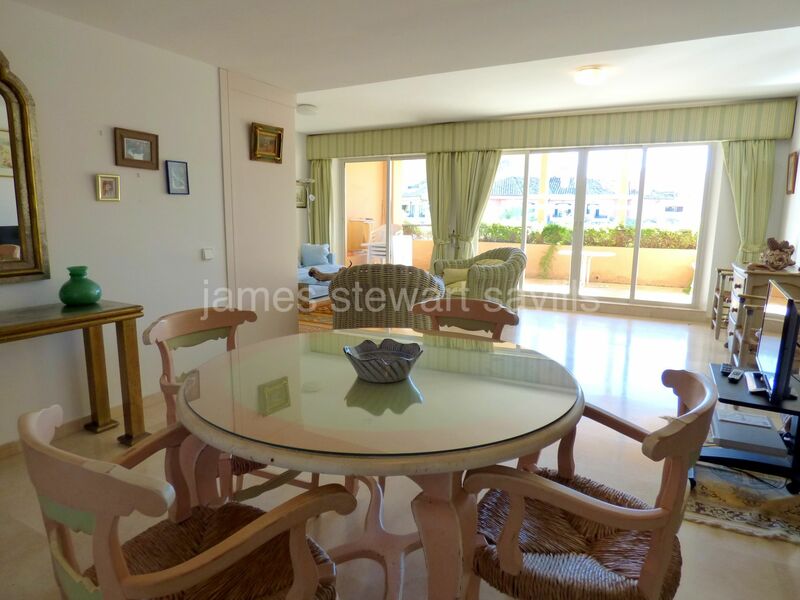 A good sized 2 bedroom apartment located in the Puerto Deportivo de Sotogrande. 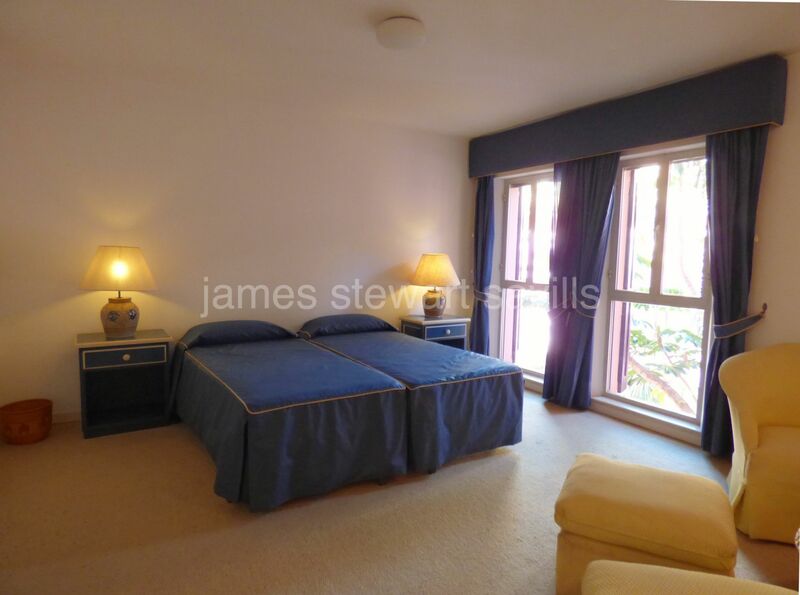 It consists of a spacious L shaped living area, kitchen, bedroom, bathroom and a large master en-suite bedroom with seating area. 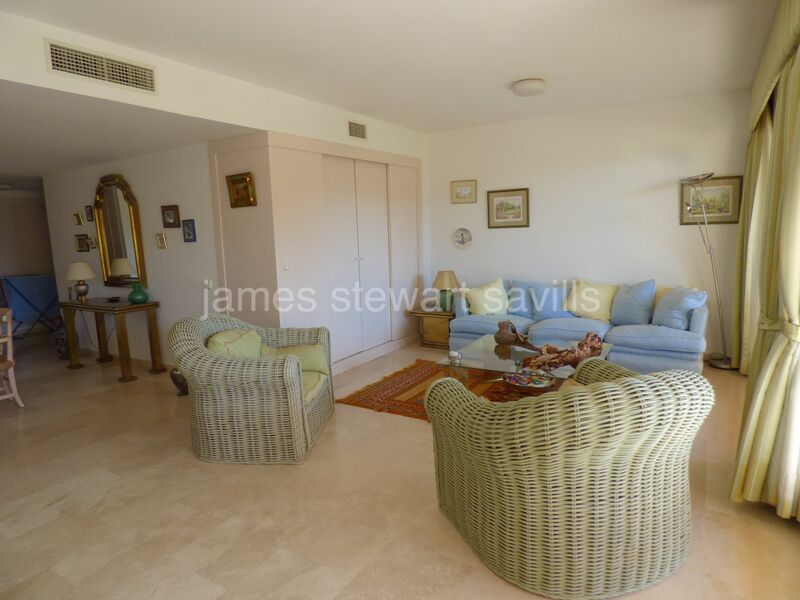 There is a west facing terrace which runs the length of the living room with views of the water canal and port/sea views to the side. 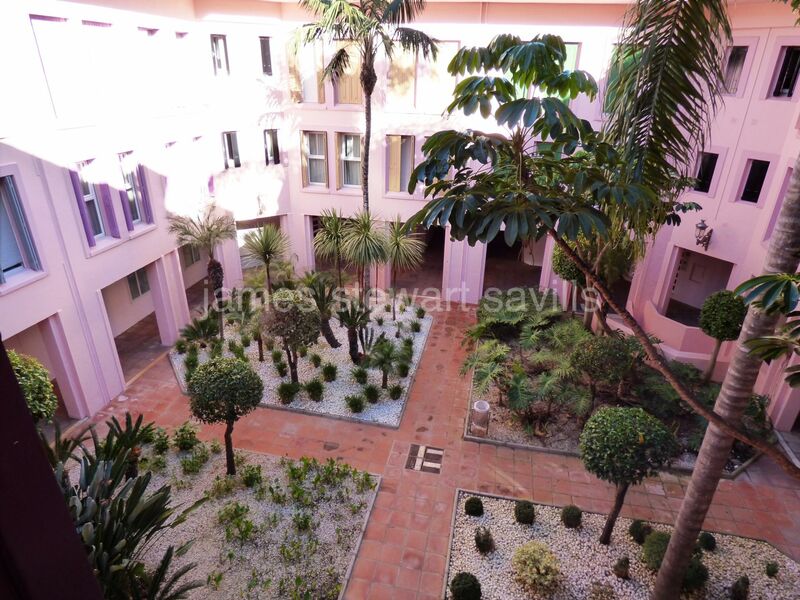 Both bedrooms face a very quiet central courtyard within the block. 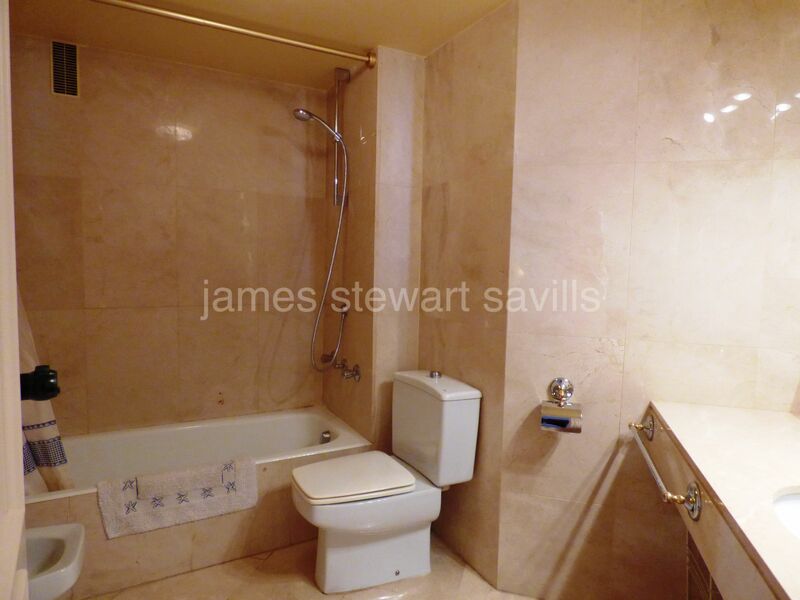 Some modernising can be done but it is all in good working order. 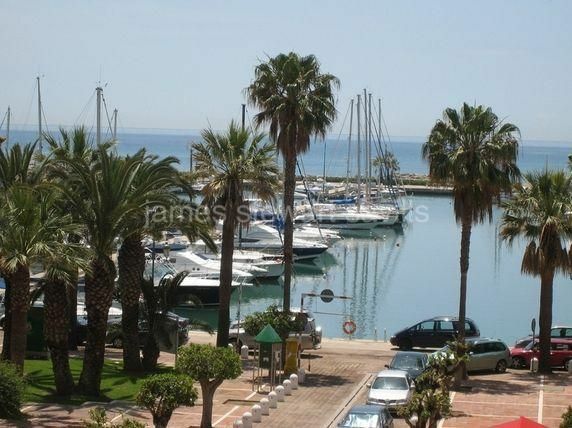 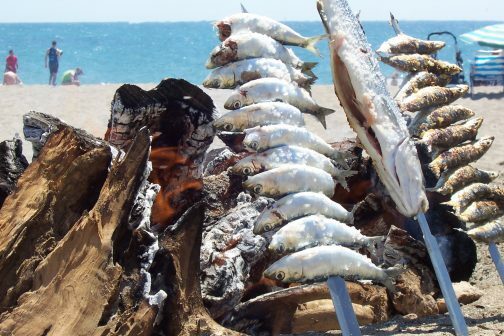 All the conveniences/shops of the port and proximity to the beach.